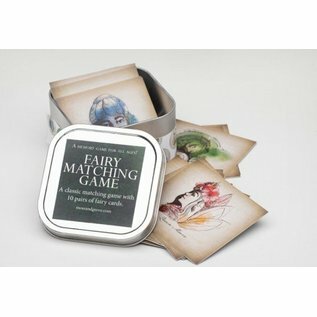 Create some fairy magic while matching these gorgeously illustrated fairy cards. Characters include the Bee Keeper Fairy, The Rock Fairy, The Forest Guardian, Queen Maeve and other fairies that represent the world around us. There are 4 blank cards for kids to create their own fairies so they can put their art in the game! An instruction card gives writing prompts, tips, and ideas for ways to expand using these cards. 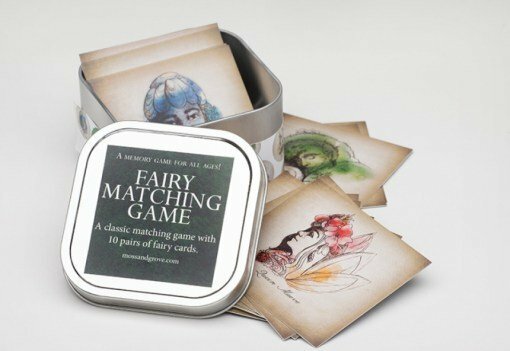 The game comes in a lasting tin container, the perfect size for stocking stuffers and travel.